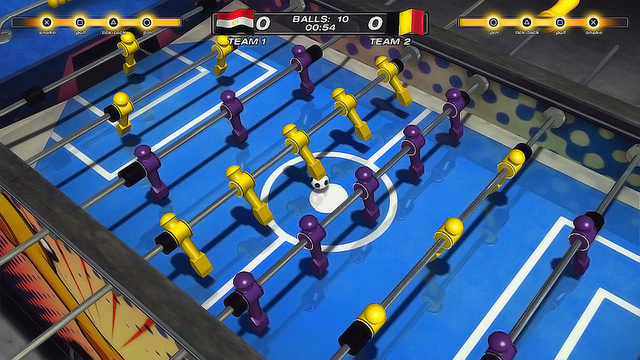 Grip Games have announced that Foosball 2012 the first foosball game for PS3 and PS Vita, will be available as a downloadable game via PlayStation Store on July 24th (North America) and July 25th (Europe). 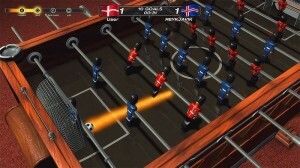 Foosball 2012 will feature connective play between between PS3 and PS Vita, delivering both cross play and game continuation features in addition to PlayStation Move motion controller and Dualshock 3 wireless controller support, all for the price of a single game. 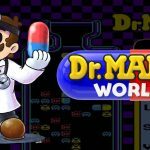 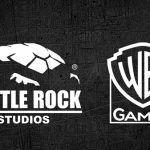 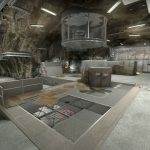 The game will also feature single and multiplayer modes, along with Quick Match gameplay where up to four players can play simultaneously in a local match. 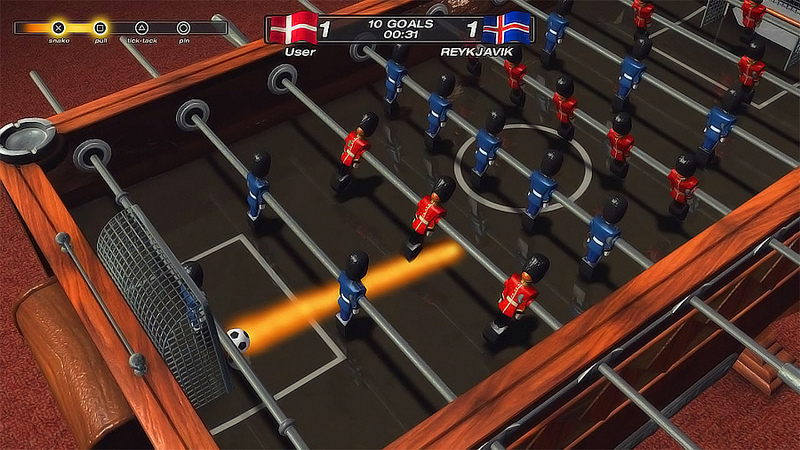 Foosball 2012 will retail for £5.99/€6.99. 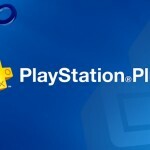 If you are a PlayStation Plus subscriber, you get a time-limited discount that will let you buy the game for £3.99/€4.99.